Now that J.J Abrams has called it a wrap on Star Wars: The Force Awakens, rumor has it we may be seeing a sneak peak at what's to come. Information from the Badasss Digest spies indicates we may may see a teaser for the upcoming Star Wars: The Force Awakens sooner than Later. Rumors specualte that we may get our first glimpse before The Hunger Games: Mocking Jay Part I or at sometime on ABC, which Disney owns as well as, the Star Wars franchise. It's going to have The Force Theme played on woodwinds, softly, over flashing images of the main leads, each fading to black. There's no dialogue, just reveals of the characters. And then the music swells up into a full orchestral piece -- perhaps what John Williams recorded this weekend? -- and we hear a female voice, likely Daisy Ridley's, saying "Wake up." And then the title card appears -- Star Wars: The Force Awakens -- and we see the Millennium Falcon, firing blasters, coming right at the camera. I am anxious to get a taste of what's to come. Initially, my thoughts were we would be holding our breath in anticipation until next April's Star Wars Celebration to get a glimpse, but may be they'll give us an appetizer now and serve up the first course in April. Anyone else excited? 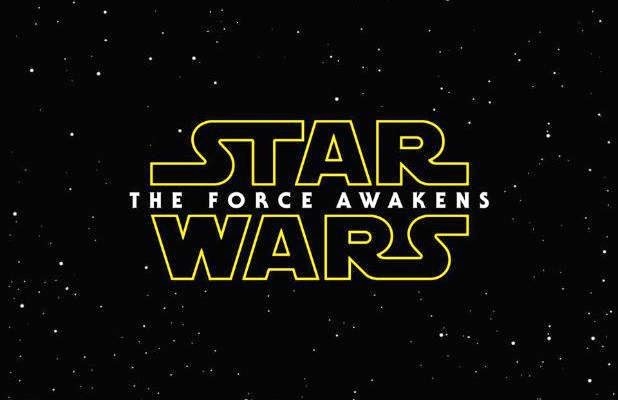 Episode VII: The Force Awakens opens December 18, 2015. I will admit am a little interested in this movie.